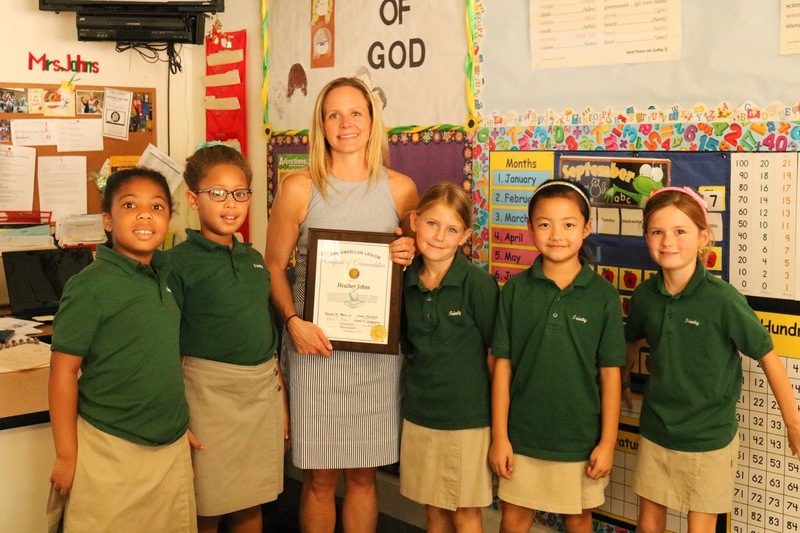 Trinity School is proud to announce that on September 15th, 2017, second grade teacher, Mrs. Heather Johns, was named Teacher of the Year by American Legion Lithuanian Post #154. Mrs. Johns was nominated by her great uncle, John Maskavich, who serves as the Post chaplain. Along with her award Mrs. Johns received a cash award and a coin commemorating the 100th anniversary of the American Legion. At the age of fifteen Mrs. Johns discovered how much she loved working with children. She realized that when children are taught well they can teach each other. 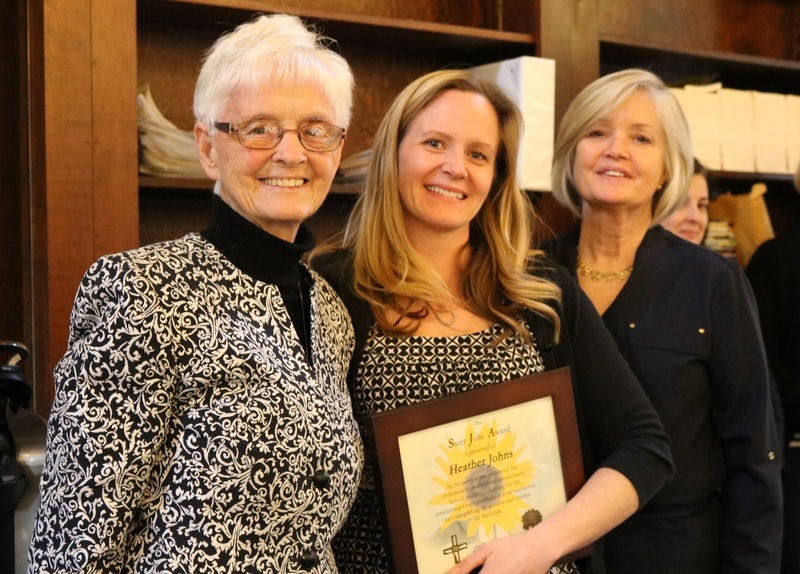 Following her high school career, this nugget of truth inspired Mrs. Johns to pursue a Bachelor of Arts degree in American Studies with a focus in education from the University of Maryland Baltimore County. 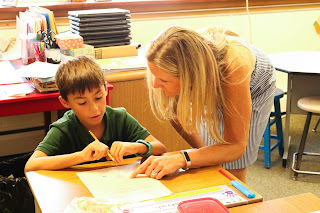 Mrs. Johns was hired as a second grade teacher at Trinity School in 2005. In addition to her teaching duties, Mrs. Johns serves Trinity students by preparing them for the sacraments of Reconciliation and First Holy Communion. She is the Social Science program coordinator. Her dedication to teaching and professional development was recognized by her Trinity peers when she received The Saint Julie Award, Trinity’s most prestigious teaching award. Trinity is sponsored by the Sisters of Notre Dame de Namur, whose foundress, St. Julie Billiart directed the teachers of her schools to “Teach the children what they need for life.” In the classroom setting, when Mrs. Johns hears a child say to her, “I understand,” she knows that she is following in the tradition of the Sisters and the mission of Trinity.